Buffalo Wild Wings is one of the biggest casual dining chains in the United States. Famous for its wings and its sauces, Buffalo Wild Wings is big on food, big on spice and big on portions. The Buffalo Wild Wings menu is loaded with everything you know you shouldn’t eat and everything that you can’t resist. And the Buffalo Wild Wings secret menu has a few hidden options worth exploring. In 1982, Scott Lowery, Bernard Spencer and Jim Disbrow created the first Buffalo Wild Wings restaurant. They chose Columbus, Ohio, as their first location and within a year they had expanded into a second restaurant in Westerville, Ohio. 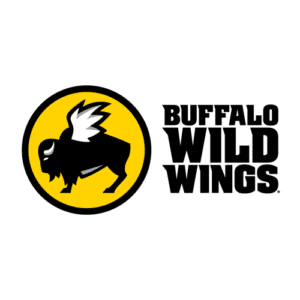 They initially went by the name Buffalo Wild Wings & Weck, before changing their name to the Buffalo Wild Wings Grill & Bar in 1998. By this time, they were already offering franchises and the brand had begun to spread. Within 15 years they passed the 1,000 location milestone, and today there are close to 1,200 restaurants in total. The restaurant goes by several nicknames, including BW-3 (based on their old name) and B-Dubs (because…we have no idea). The chain first expanded outside of the US in 2010, when they moved into Canada. Buffalo Wild Wings sells fattening and decadent food. From the Kids Meals, which consists of Chicken Tenders, Corn Dogs and Macaroni & Cheese, right up to their Platters of Wings, Chicken Wraps and the indulgent desserts, this is as calorific as it gets. The drinks menu includes all kinds of non-alcoholic beverages. And if you’re feeling a little sluggish, there is also Red Bull on the menu. 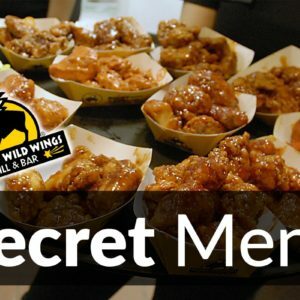 The Buffalo Wild Wings secret menu is very similar to the Hooters secret menu in the sense that there isn’t a great deal on offer. There are a few secret menu items though, and as is the case with all restaurants, there are more being added all of the time. Thanks to the work of Secret Menus, and to the success of the KFC secret menu, the McDonalds secret menu, the Tim Hortons secret menu and others, more restaurants are taking note. So, even though it’s a little on the short side now, there will be more menu hacks added soon. The Buffalo Wild Wings menu is a little more expensive than fast food chains like Popeyes. It is roughly on par with Hooters. The menu items may seem over-priced at first, but it’s worth considering that these are big portions, and you get a hell of a lot of food for your money. This applies as much to their famous Chicken Wings, which will set you back around $10, as it does to drinks, which cost around $4. There is a Kids Menu, where the portions are smaller and the prices are cheaper, and there are desserts as well, which are very reasonably priced. To see more Buffalo Wild Wings menu prices, read our updated guide on the subject. Chicken wings from Buffalo Wild Wings. We hate to be the ones to tell you, but chicken wings are not healthy. There isn’t much wrong with chicken. Which is why Pollo Tropicaland many other chicken restaurants are so healthy. But when you coat it in batter and fry it, you take that goodness away. If you’re anything like us, you won’t care. If it tastes good, then that’s all that matters. But if you’re watching your figure, you might want to give those chicken wings a miss. There are healthier options on the menu, but this is a place to have fun and eat your bodyweight in wings, so don’t expect too many. To see these healthy options, as well as all the nutrition info for this particular menu, read our Buffalo Wild Wings Nutrition Info guide. Spicy chicken wings, a staple at Buffalo Wild Wings. 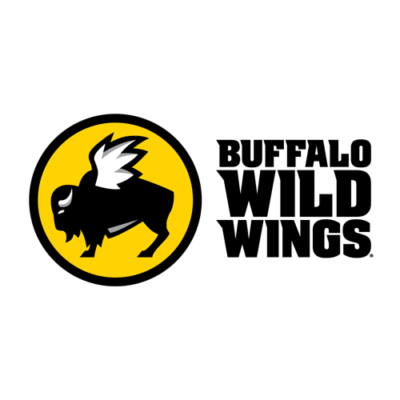 half of the locations that carry the famous winged-buffalo logo are owned by the company, with the other half being owned by franchisees. Buffalo Wild Wings has also spread outside of the US. There are locations in Canada, Mexico, Saudi Arabia, United Arab Emirates, Panama and The Philippines. The first location outside of the US opened its doors in 2010. And when you consider the global success of many other US chicken chains, including Hooters and KFC, as well as the popularity of Nando’s, which has a huge following outside of the US, it seems inevitable that this chain will spread its wings further afield. Buffalo Wild Wings is a casual dining restaurant and a bar rolled into one. As a result, it tends to open a little later than other restaurants. It also extends those hours during Fridays and Saturdays. In that sense, Buffalo Wild Wings is very much on par with TGI Fridays. Albeit with less of an emphasis on alcohol. It opens at 11:00am and closes at midnight from Monday to Thursday. On Fridays and Saturdays, it remains open until 1:00am, catering for customers looking to drink and eat the night away. The hours are usually reduced on Sunday, but it all depends on your location. If you want to keep your wallet thin while your waist-line gets fat, then check-in during Happy Hour. The Buffalo Wild Wings Happy Hour is perfect for penny pinchers and for anyone who loves great food and big bargains. These times fluctuate, which is why we have created a dedicated and updated Buffalo Wild Wings Happy Hour page so you can keep track.